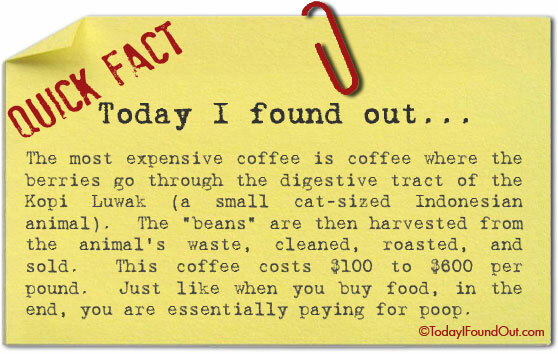 The most expensive coffee is coffee where the berries go through the digestive tract of the Kopi Luwak (a small cat-sized Indonesian animal). The “beans” are then harvested from the animal’s waste, cleaned, roasted, and sold. This coffee costs $100 to $600 per pound. Just like when you buy food, in the end, you are essentially paying for poop.